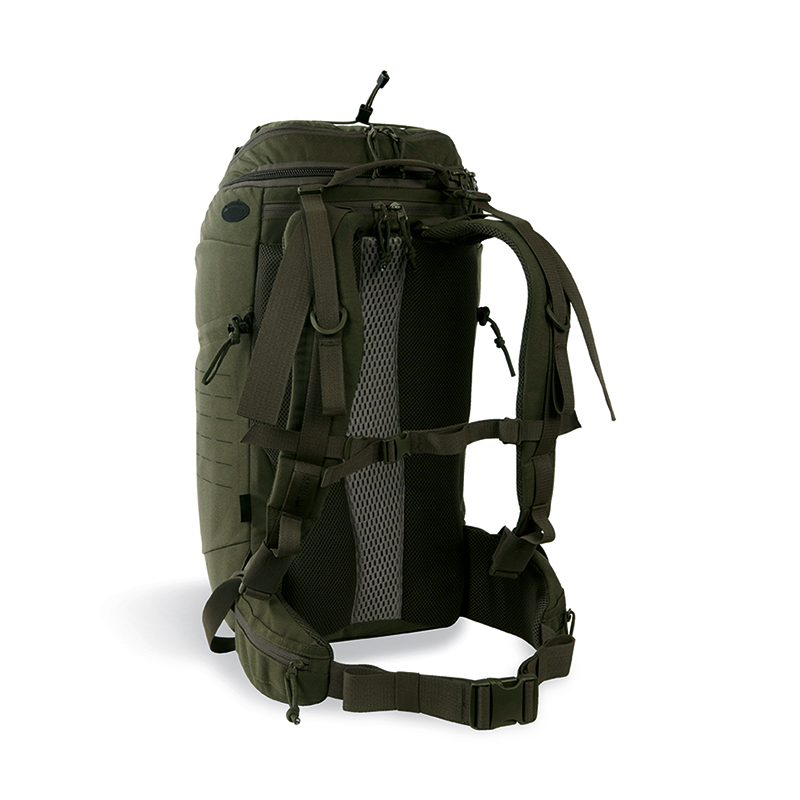 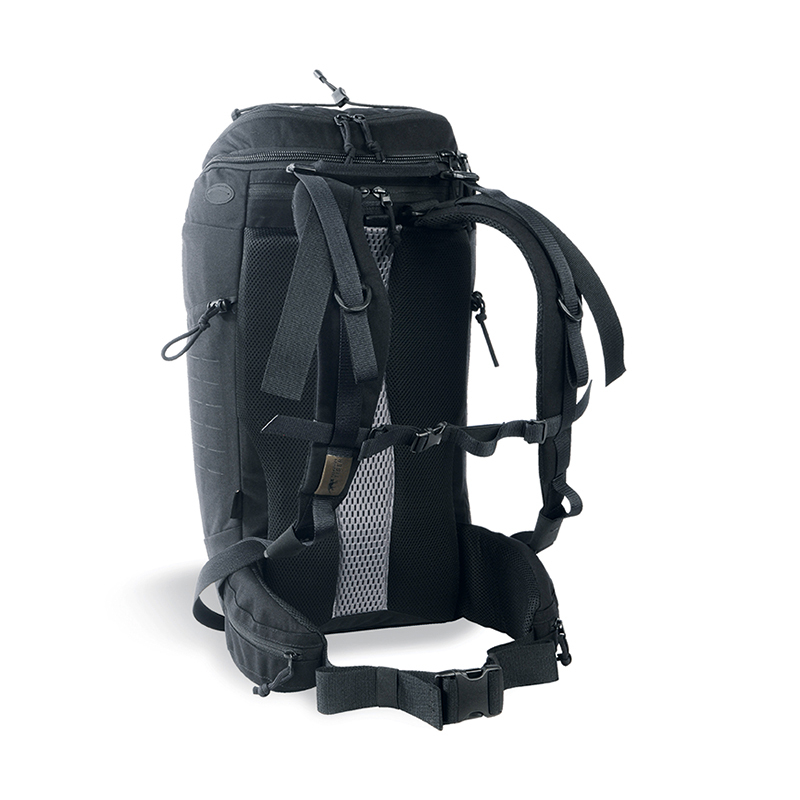 Modular universal combat backpack. 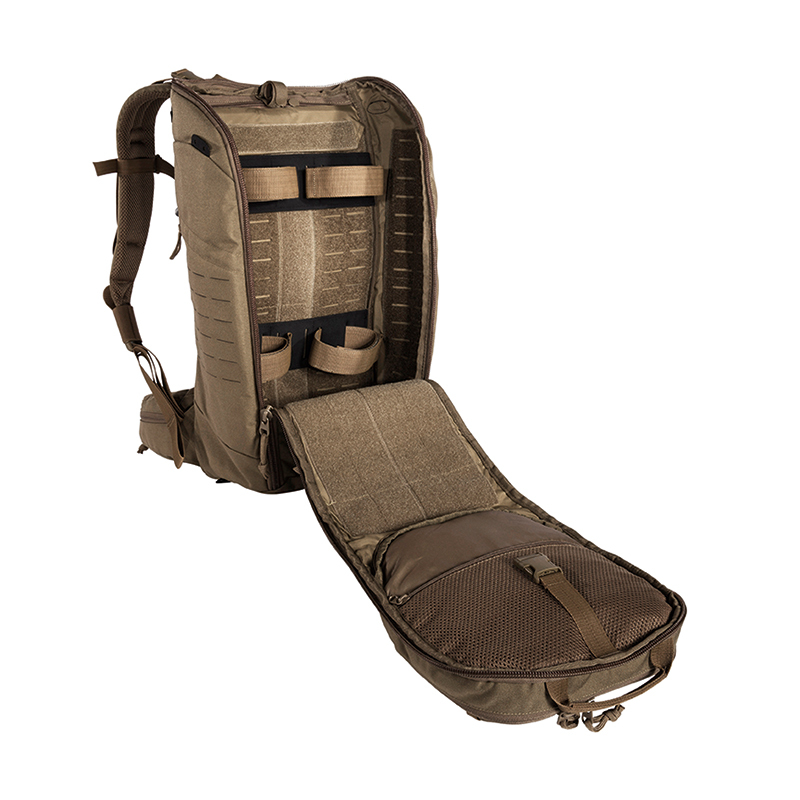 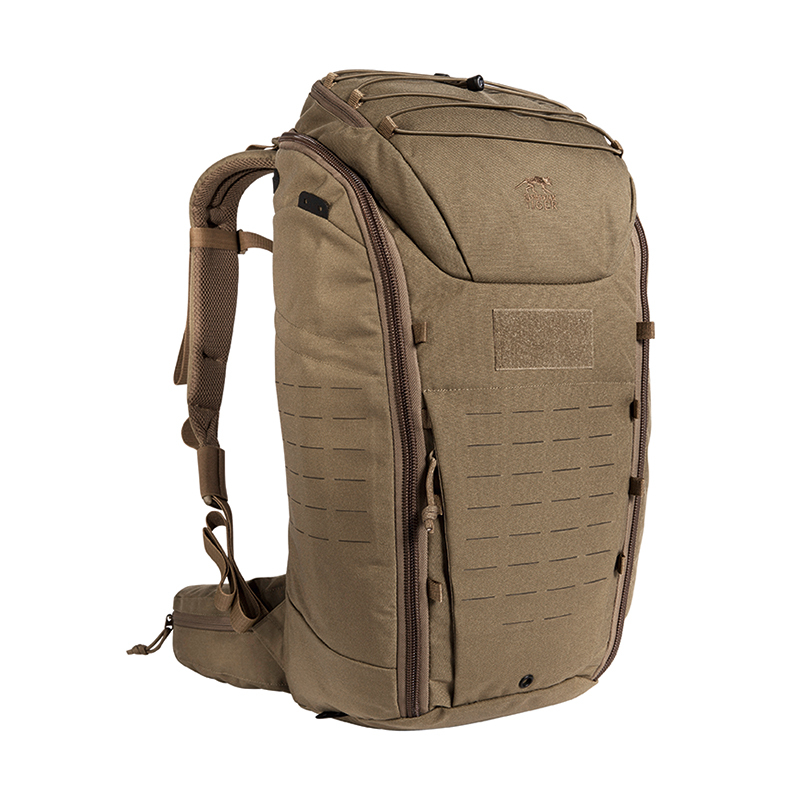 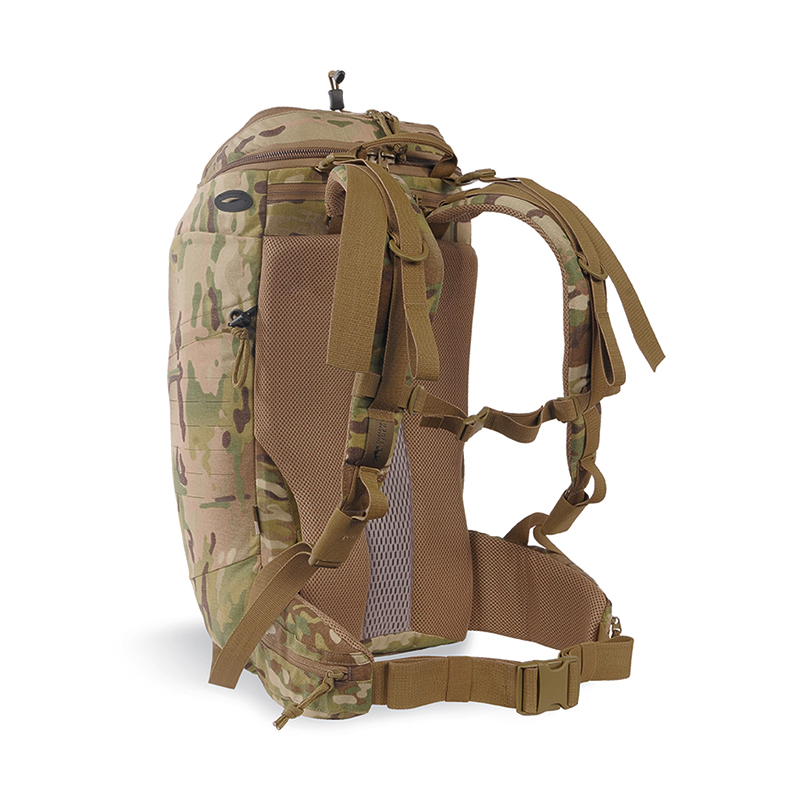 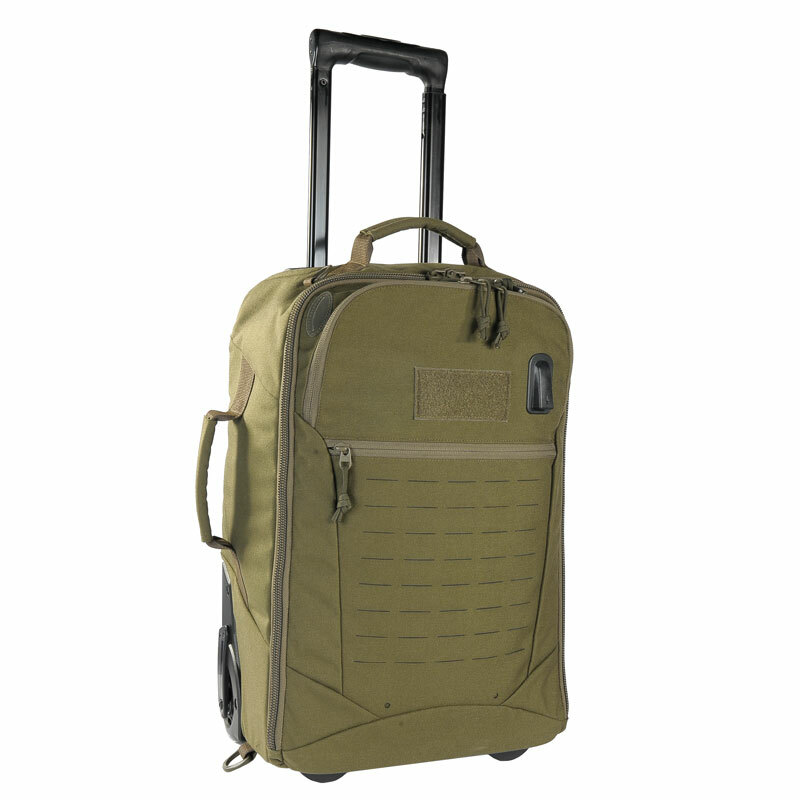 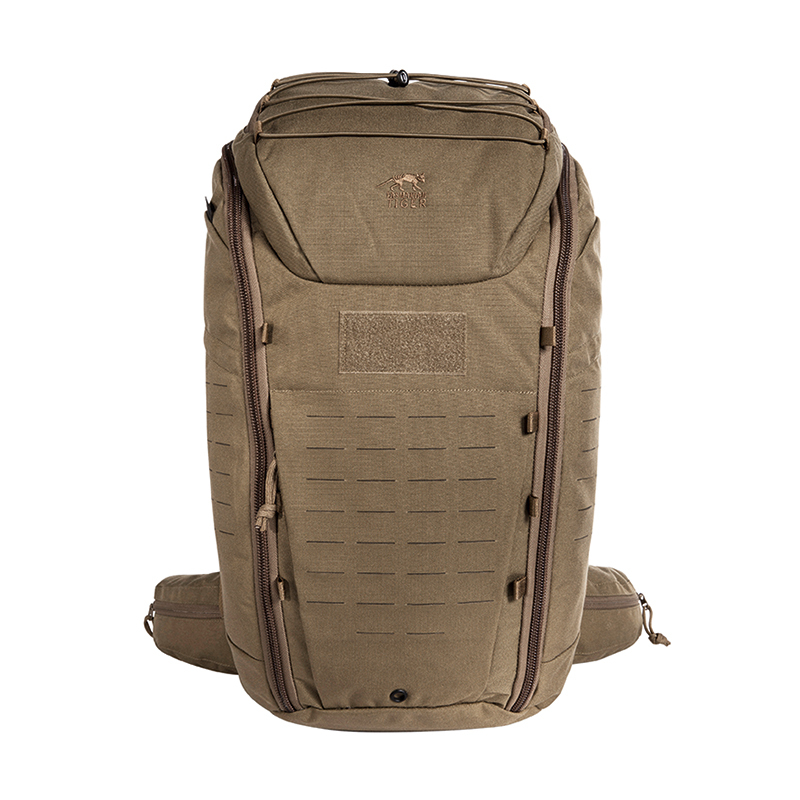 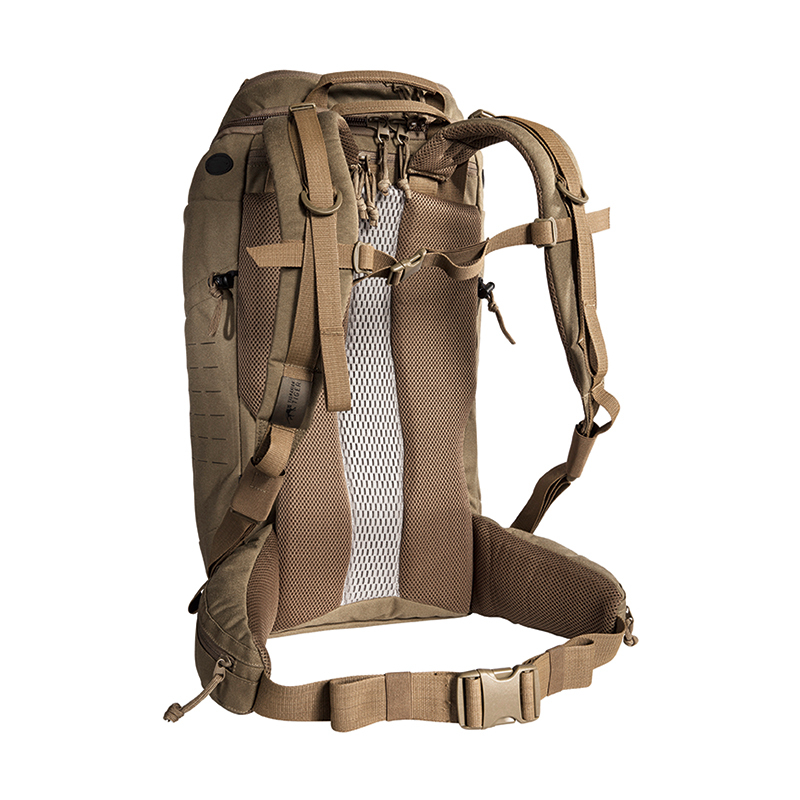 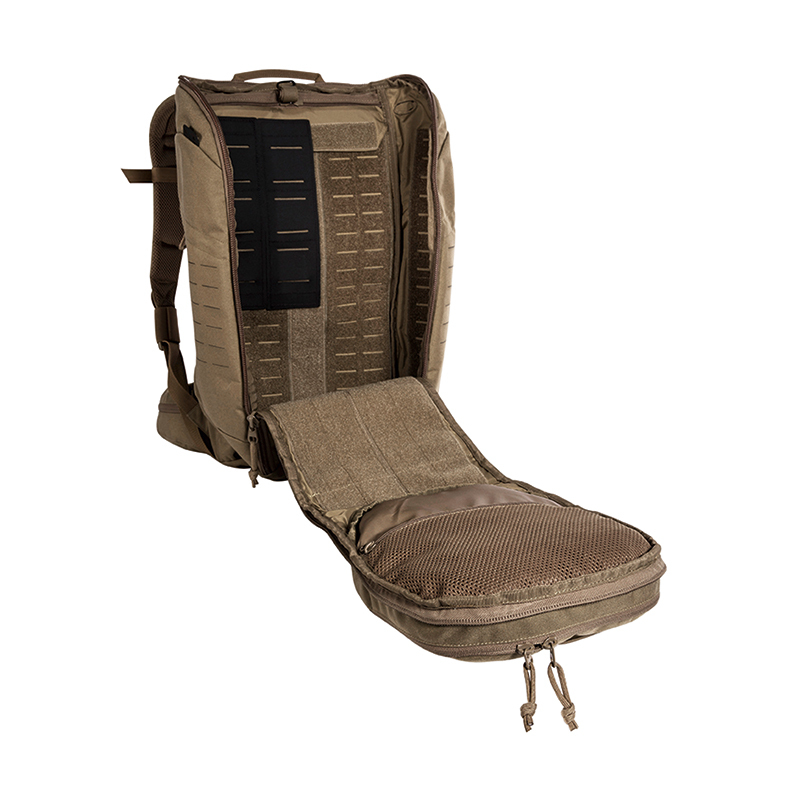 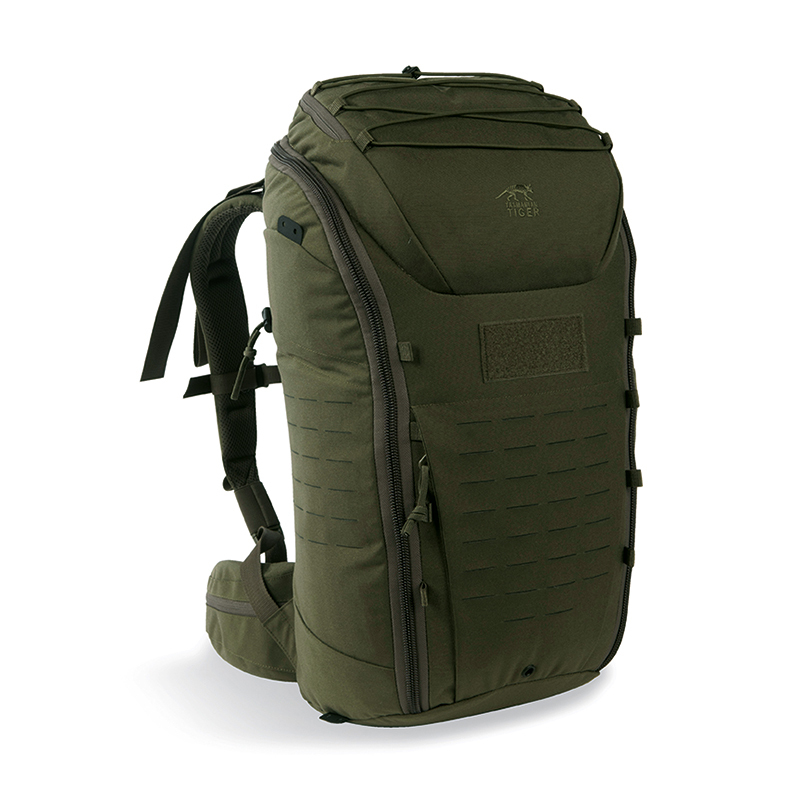 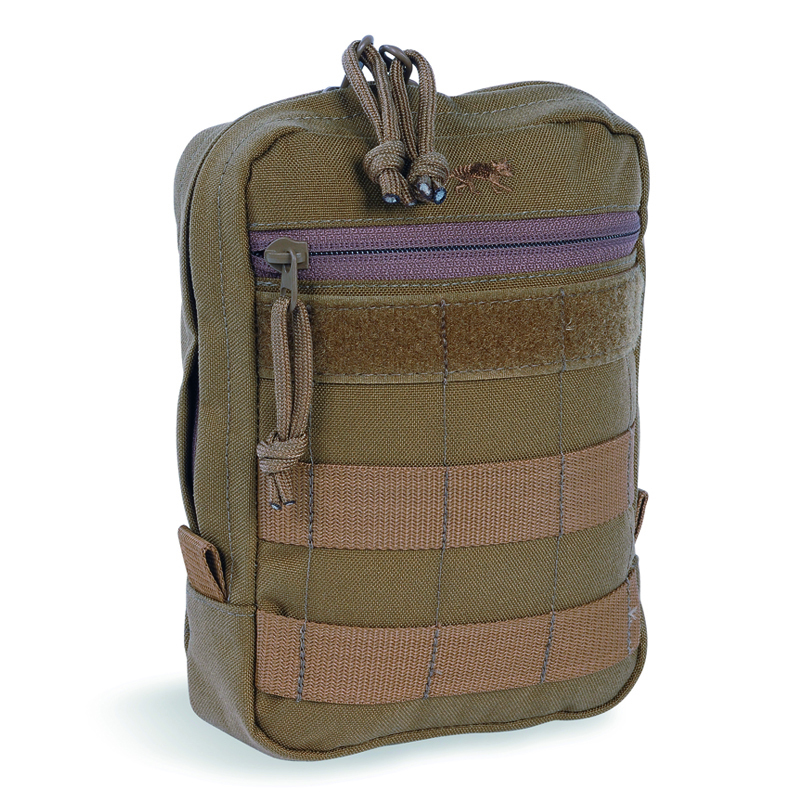 The backpack has a lid pocket and laser-cut MOLLE on the sides and front. 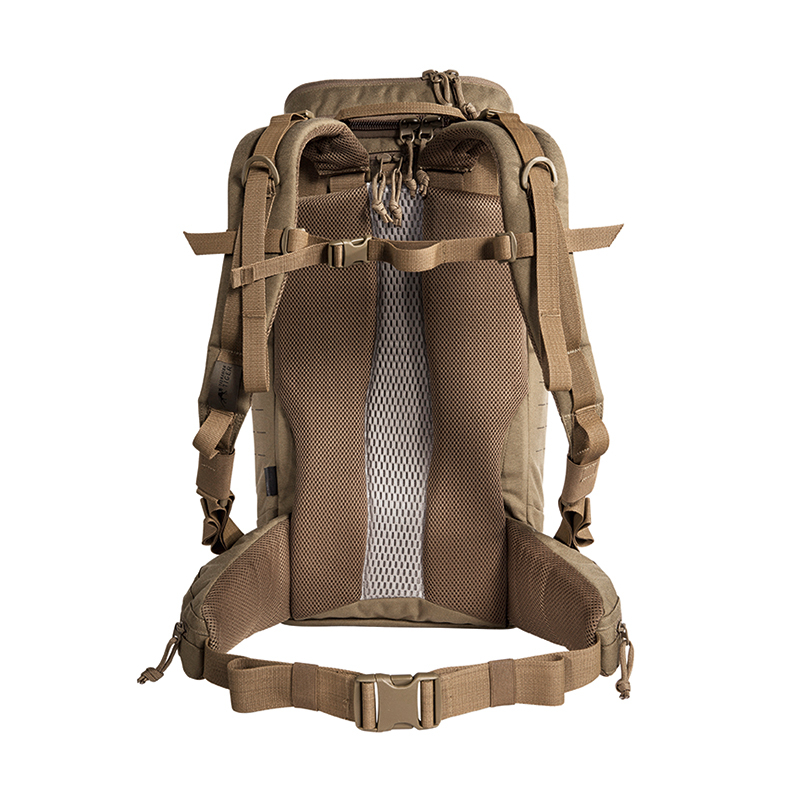 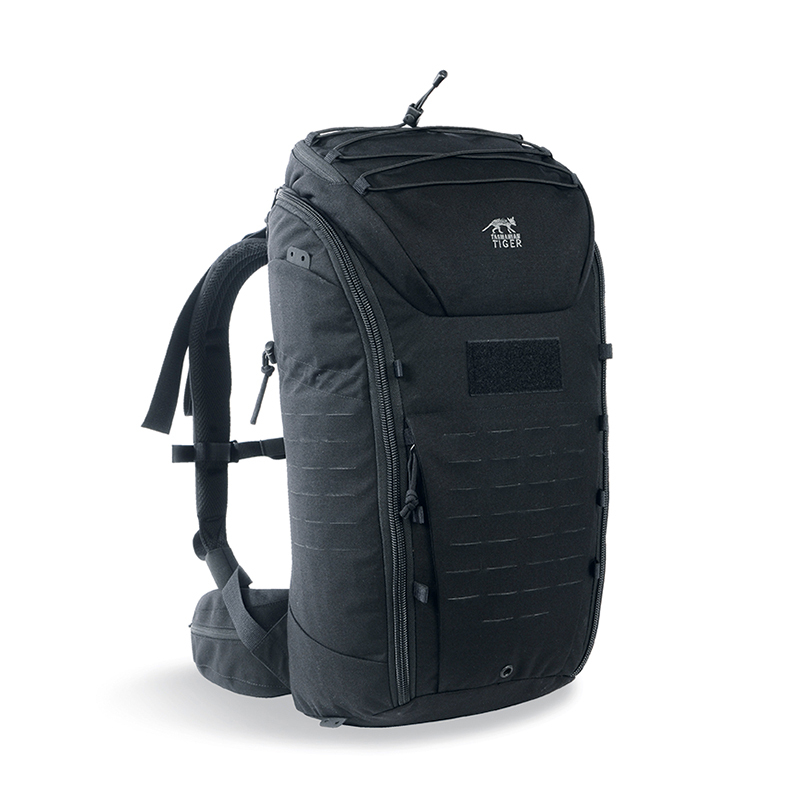 The front opening of the backpack pulls up completely. 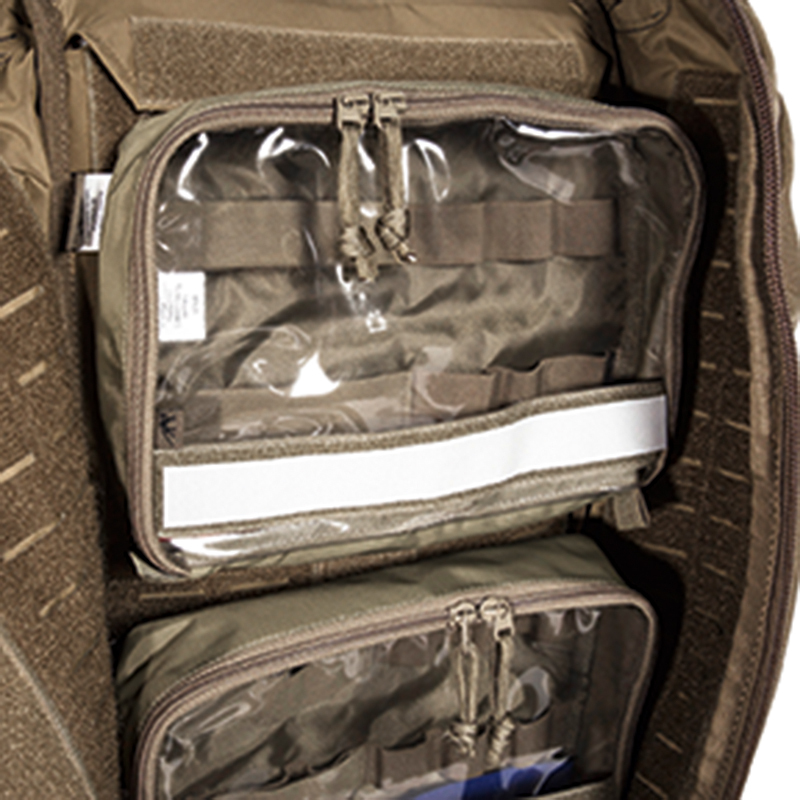 The insides have Velcro sections for individual features. 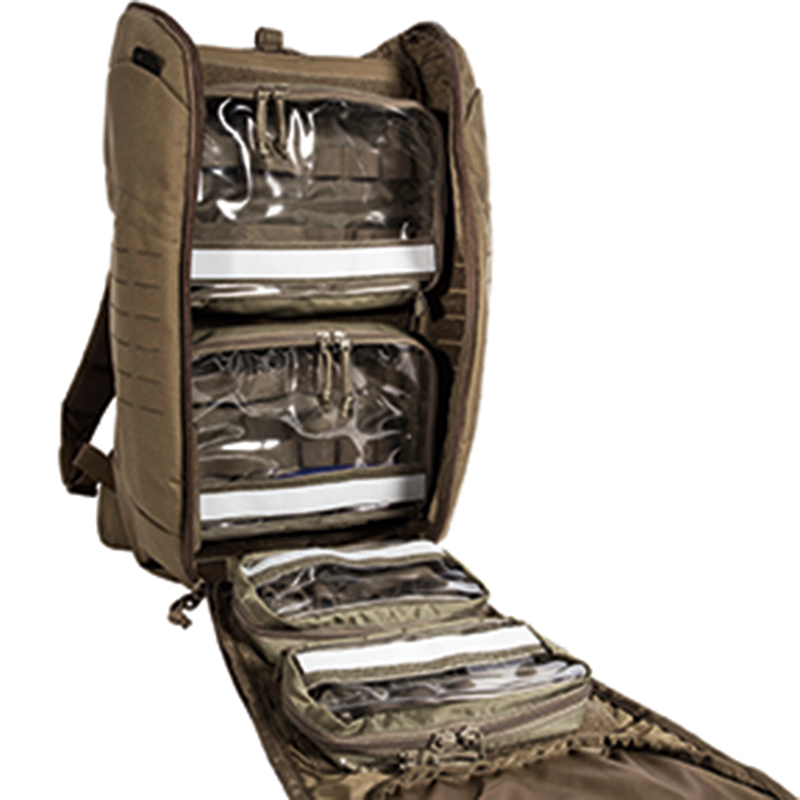 The hip fins are detachable. 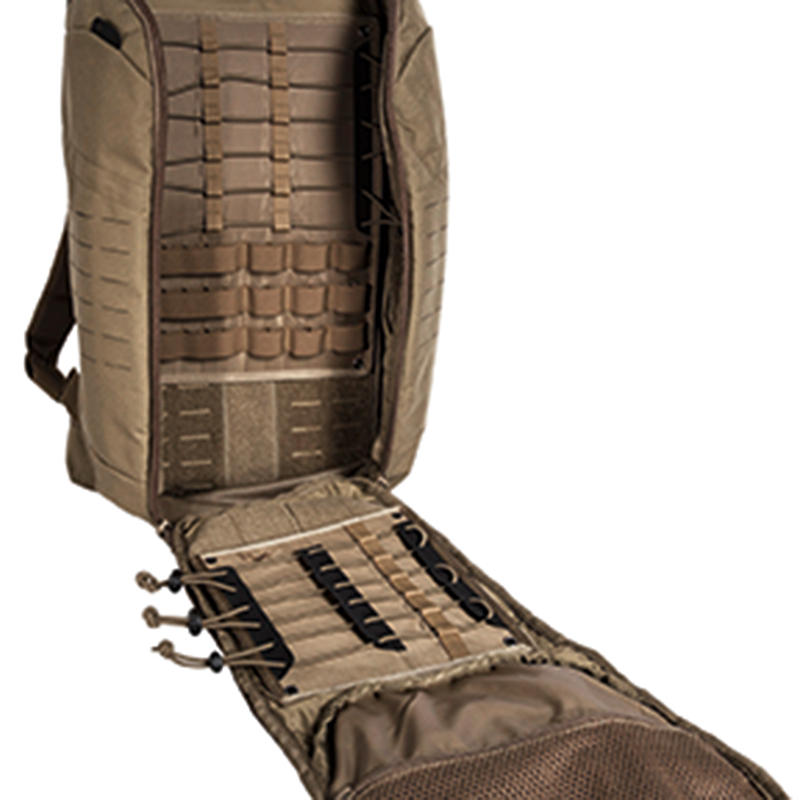 Comes with three Velcro accessories pouches and a Velcro weapon holster. 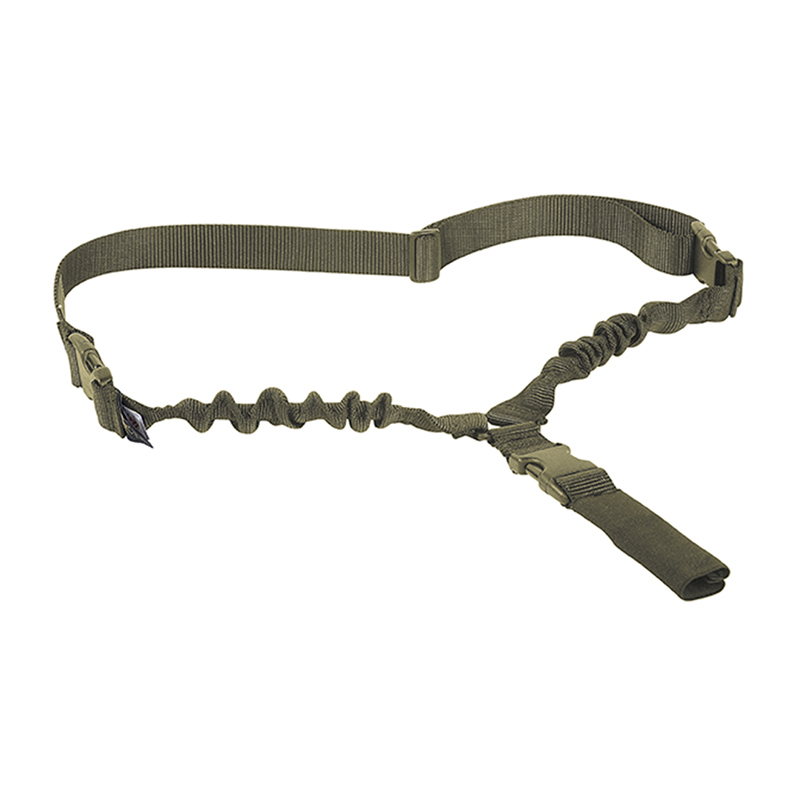 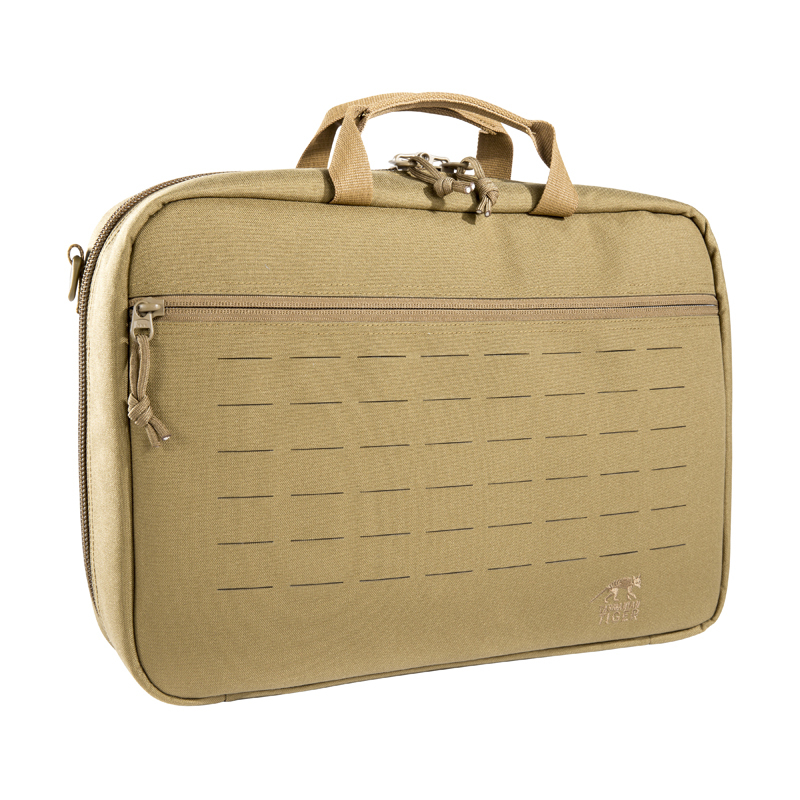 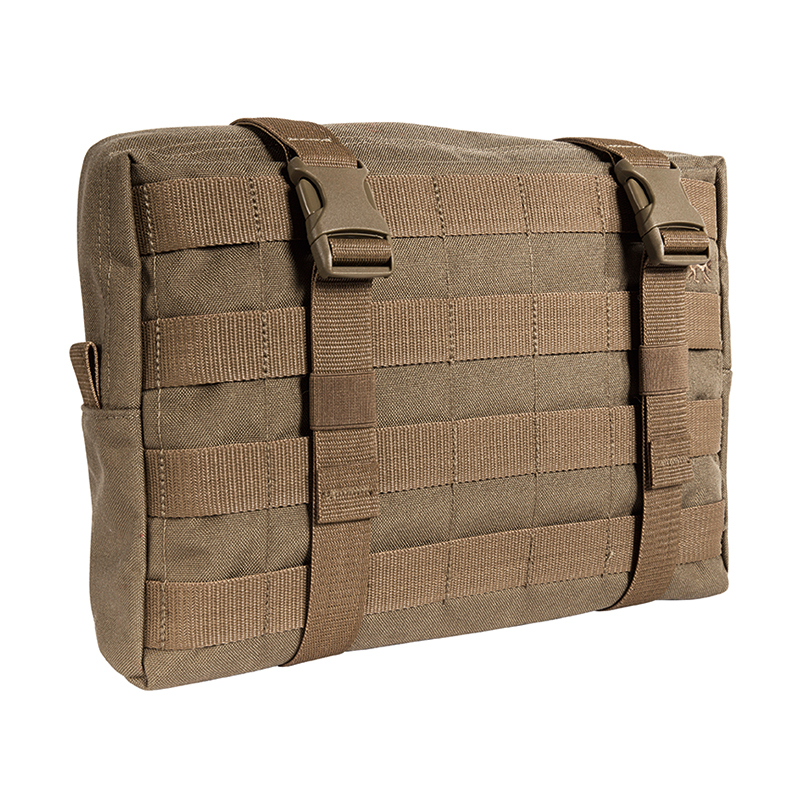 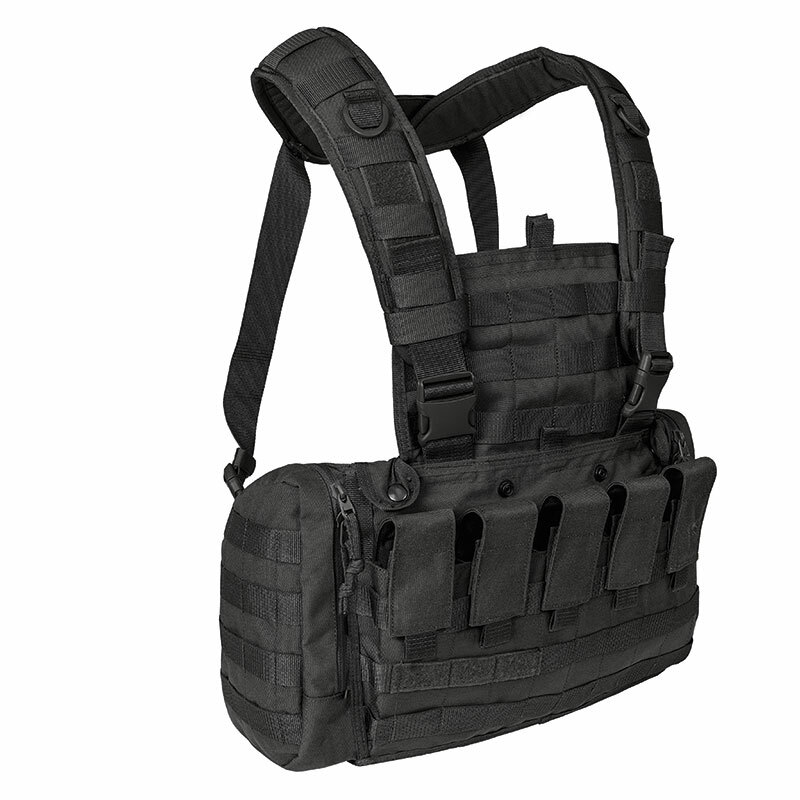 Tasmanian Tiger is a premium supplier of professional Military, Tactical and Police Equipment. 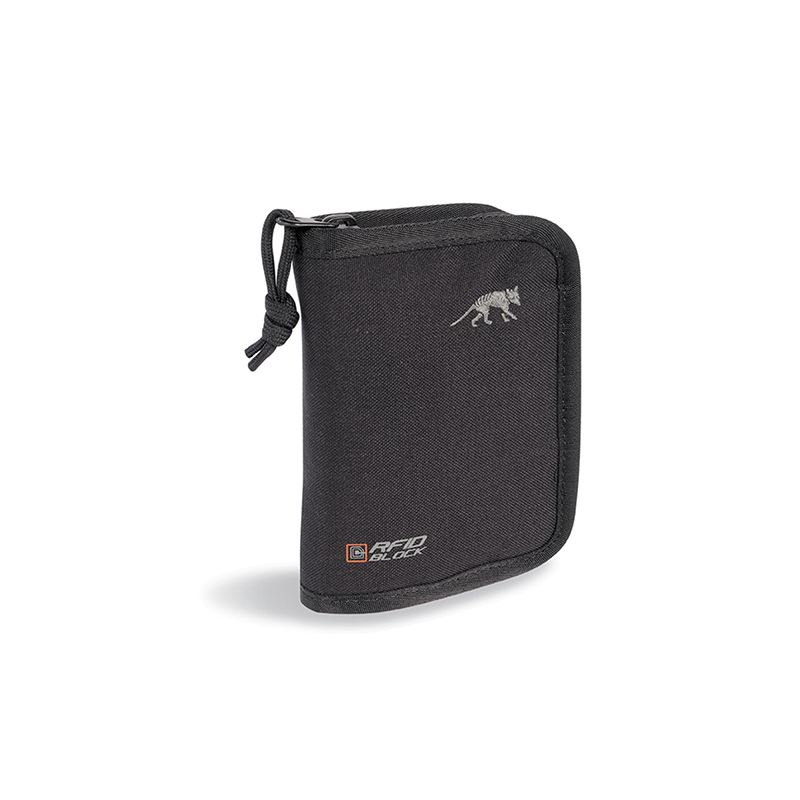 Founded by Tatonka GmbH in 1999, Tasmanian Tiger has redefined the meaning of quality through its persistence, consistency and determination to produce only the finest products. 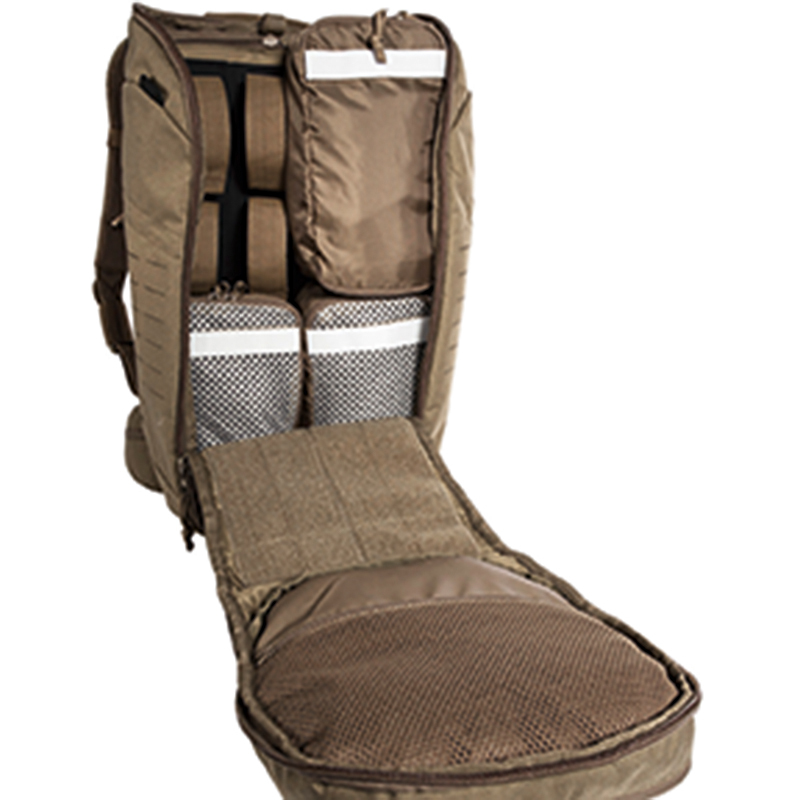 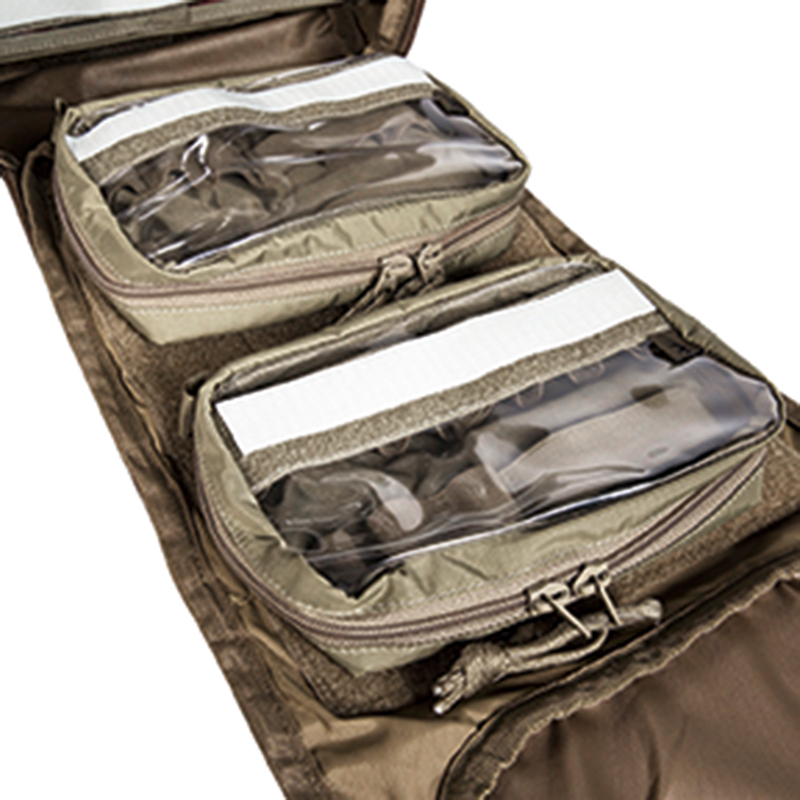 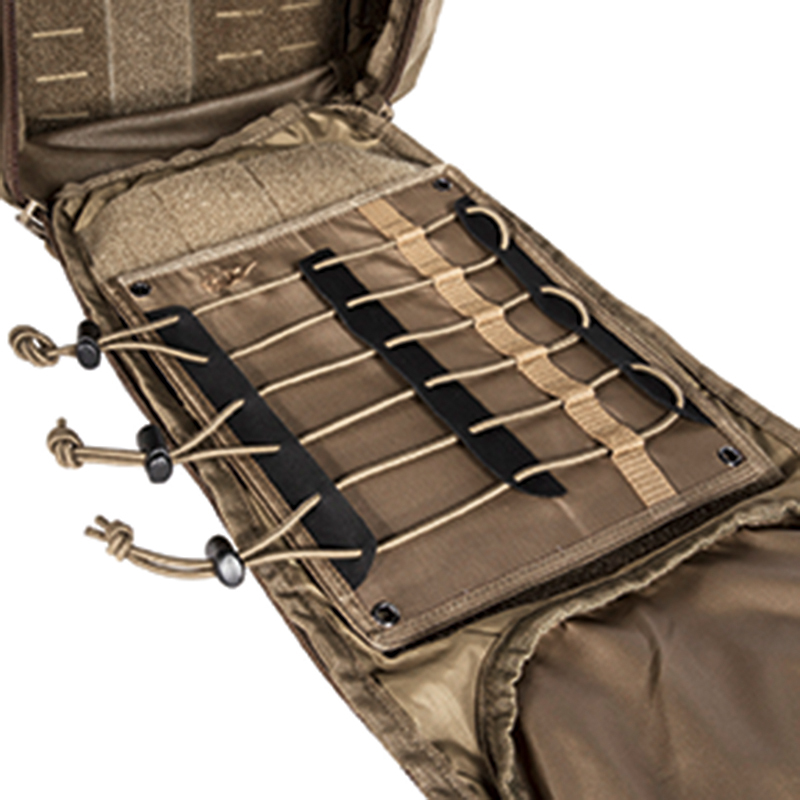 All Tasmanian Tiger products are made of the very best quality materials, with the best functionality. 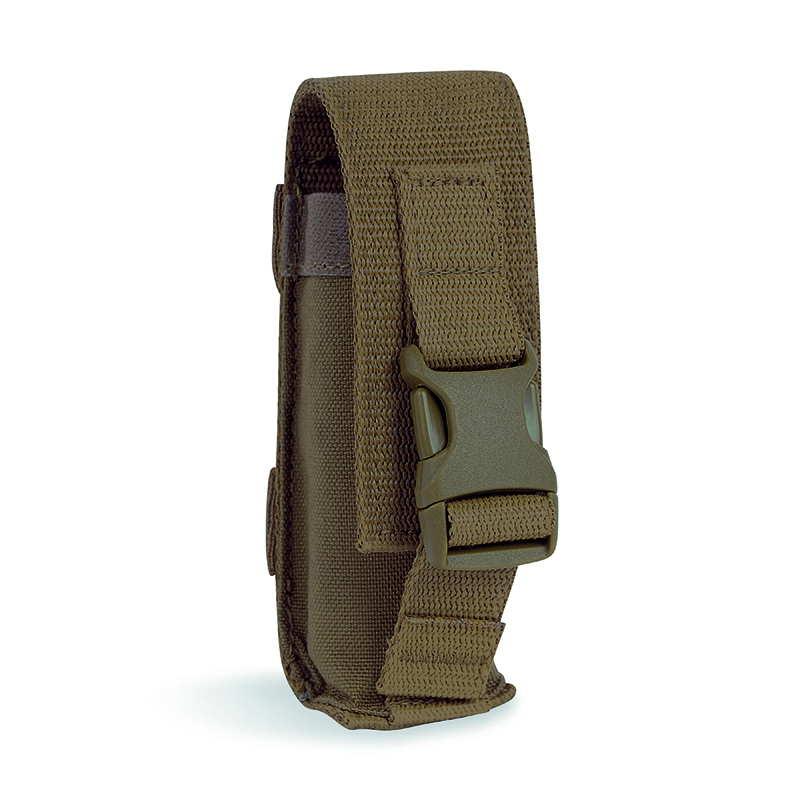 Tasmanian Tiger® is a division of Tatonka GmbH.